(VEN) - The sixth draft decree on developing support industries drafted by the Ministry of Industry and Trade (MOIT) will highlight the establishment of an investment fund for support industries, technological solutions, incentives on corporate income tax and investment in the construction of industrial zones and clusters. These new points are expected to create a breakthrough for the development of the industrial sector and the economy in order to achieve the goals of industrialization and modernization by 2020. Despite the issuance of support policies, in reality the development of support industries in Vietnam has not achieved set targets as planned. Reports from the Industrial Policy and Strategy Institute under MOIT showed that the ratio of domestically-made components and spare parts only accounts for 27.8 percent while these figures in Thailand and China are 60 and 50 percent respectively. Many industries have not achieved set targets like the automobile industry: only 7-8 percent (localization target for 2010-2020 period is 60 percent); garment and textile still had to import 99 percent of cotton, 60 percent of fibers and 70 percent of cloths in 2013 (localization targets are 60 percent by 2015 and 70 percent by 2020). At a meeting recently held by MOIT on a draft resolution on developing support industries, Deputy Minister of Industry and Trade Cao Quoc Hung said the national program on the development of support industries targets to meet 45 percent and 60 percent of the domestic demand for support industry products by 2020 and 2025 respectively. Therefore, the draft this time received much attention of the business community. Some new points in the draft will be an important push for the support industries development in Vietnam. Many delegates expected the MOIT to take practical and specific actions, issue instruction circulars and put the decree into reality. 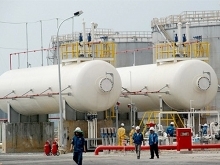 According to Deputy Director of the Heavy Industry Department under the MOIT Truong Thanh Hoai, the support industry sector needs to be seen as a backbone of the industry sector, focusing on key industries that attract large amount of FDI capital such as garment, engineering-electronics and mechanical installation. The national program on developing support industries targets to meet 45 percent of the domestic demand for support industry products by 2020 and raise to 60 percent 2025. From this viewpoint, new contents of the draft decree were raised and brought many hopes to enterprises, including the establishment of a VND30 trillion investment fund for support industries. The draft decree also focused on support solutions on technologies, production administration and customer approach; some incentives on corporate income tax (CIT) like imposing 10 percent of CIT in 15 years, tax exemption for enterprises at a maximum of four years. Another new point of the decree was the construction of industrial zones, clusters for support industries and a center for the development of support industries and expanding international cooperation in support industries. However, to complete the draft decree, enterprises said policy-makers need to know more about weaknesses of Vietnam’s support industries so that they could offer practical solutions and actions. The “Achilles Heels” of the support industries were quality, delivery requirements and prices. The weaknesses of Vietnamese support industry enterprises were the lack of capital, technologies and a methodical investment. Before this actual circumstance, Vietnamese enterprises proposed the adoption of suitable policies to encourage their participation in the global supply chain. Chairman of the Truong Hai Auto JSC Tran Ba Duong said policies should facilitate enterprises in terms of administrative procedures so that the enterprises could keep their minds on their investment activities./.